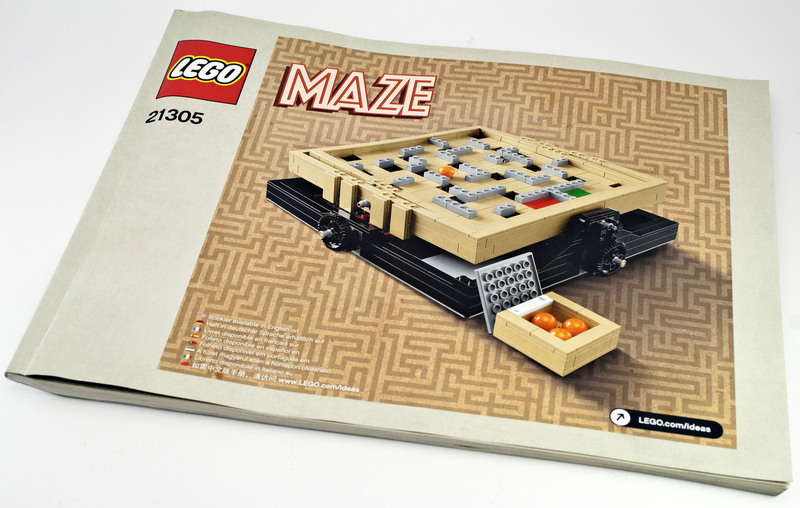 The 21305 Maze is the 13th LEGO Ideas set released. It was designed by Jason Allemann who has built lots of great MOCs, many of which have gone viral. 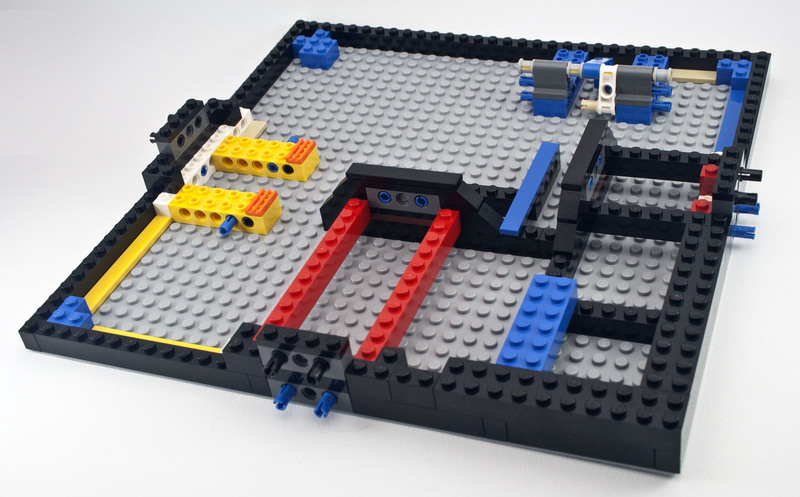 This LEGO Ideas set was actually submitted way back in 2012. 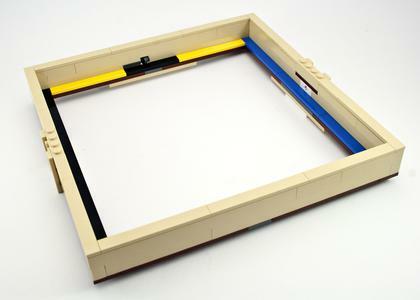 The first thing that struck me was that the box for this LEGO Ideas set is far bigger than all the previous ones I've seen at 38 x 26 x 9cm. 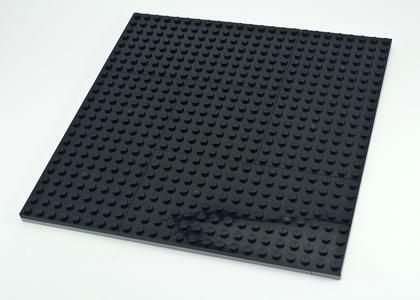 This made sense after opening it and seeing the full 32 x 32 baseplate which I didn't realise it came with. 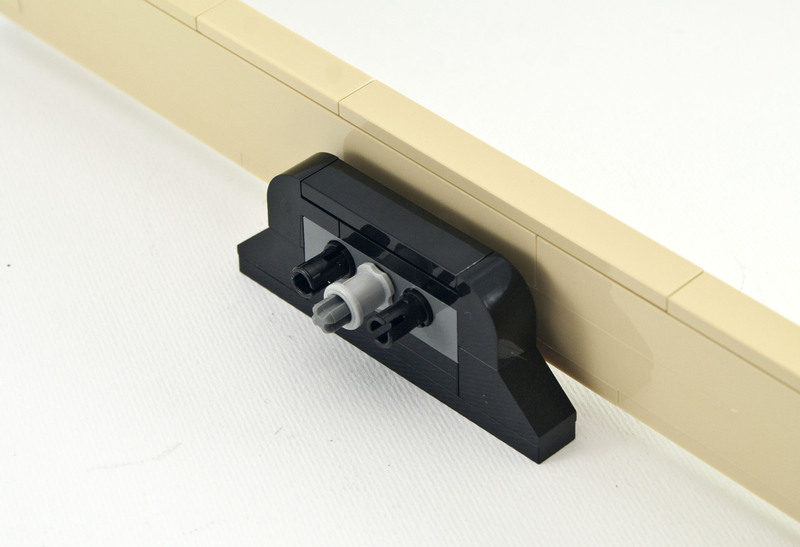 One problem I had with this is that the box is only exactly big enough to fit the baseplate, so if the box gets squashed the baseplate will suffer. Since the box is large, the building instructions are also large and are properly bound, which is nice. They have the usual description and introduction by the designer, in this case Jason Allemann. 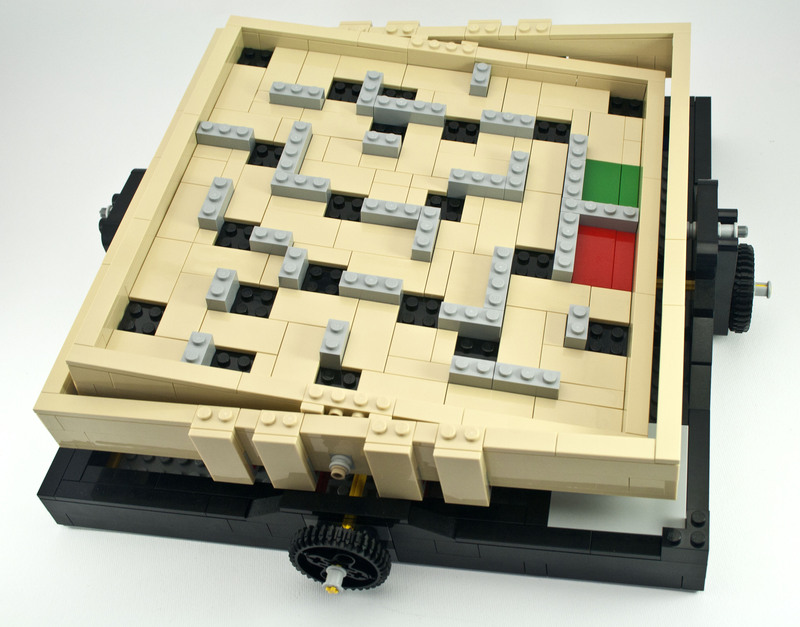 The last pages of the instructions show images of three additional mazes for you to try and build yourself. 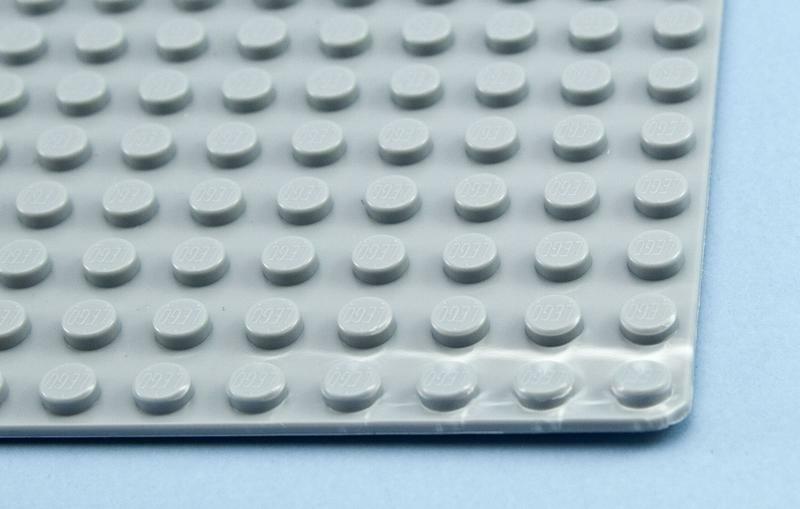 There are a few new elements in this set - parts appearing in new colors. There are four components of this build - the base with tilting mechanisms, an inner and outer tray, and the replaceable mazes. 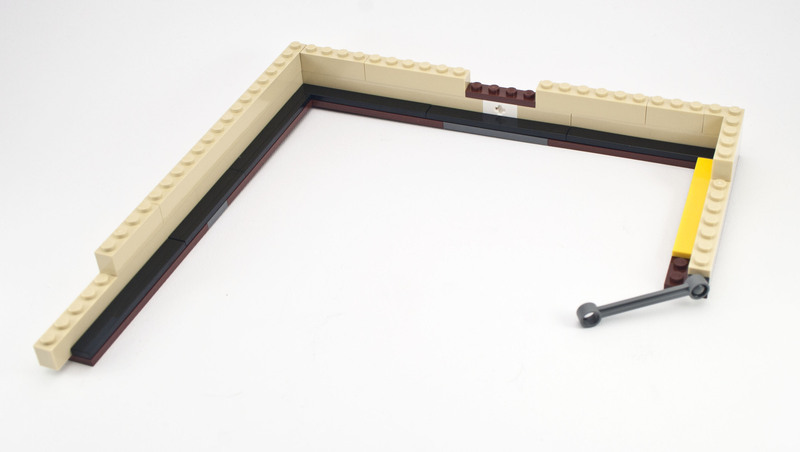 The tilting mechanisms are simple but effective. An axle rotates an L shaped Technic beam which moves other beams that are connected to the trays via 2 32005a Technic Links. 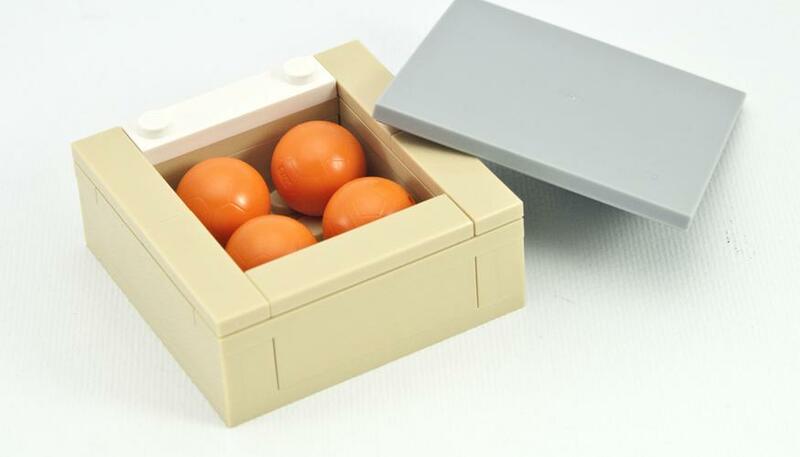 The Maze comes with four Orange balls, in a box which stores away in a corner of the maze and stops it moving. I'm not sure why we need four balls though, I only lost two of them while flinging the trays back and forth. 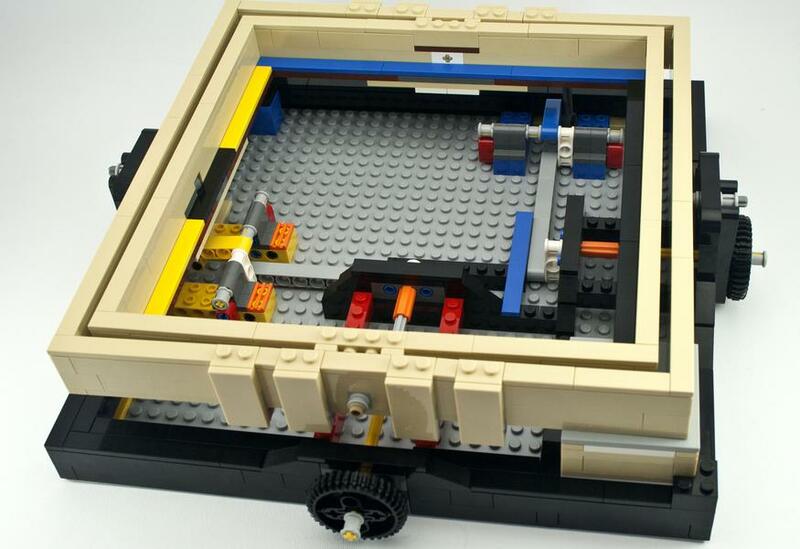 The tray is mounted via axles on 2 opposite sides, and a Technic link on a third side to push it up and down. 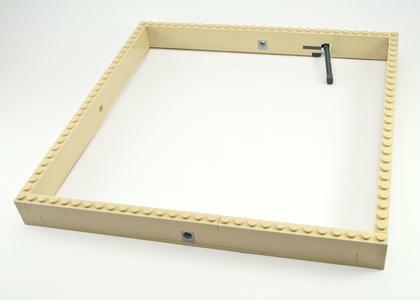 There is a problem with the way the inner tray is mounted. 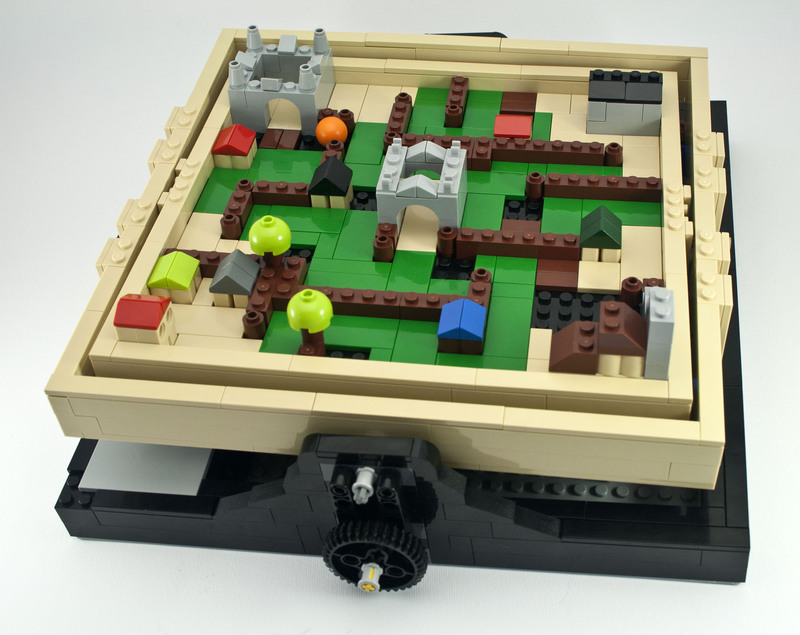 It has far more clearance on one side than the other, which when trying to play the game can make things a bit confusing. 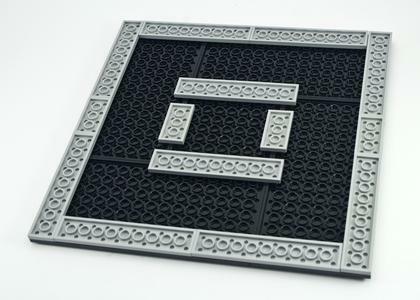 There were also times when the tray just couldn't tilt far enough for the ball to get over a small uneven lip of one of the tiles. 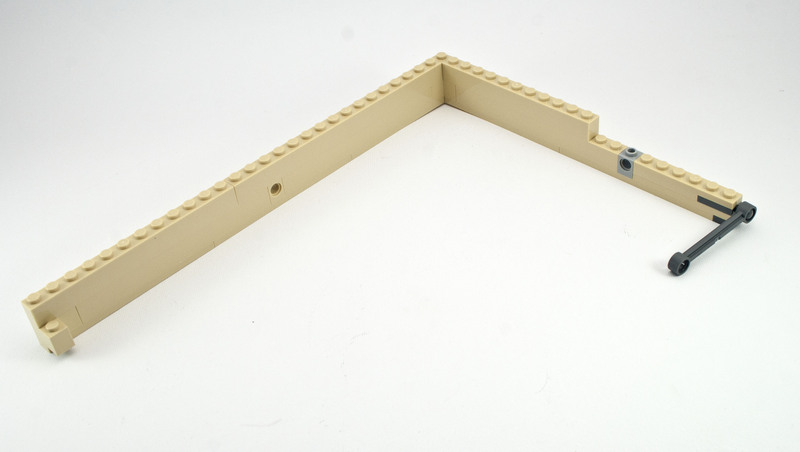 Also when it is fully in one direction, turning the outer tray can make the inner tray lift. Luckily, Jason as designed a fix for this which uses no extra parts. The fix will be available on his website. All of the mazes are built on top of a sturdy 24 x 24 plate construction. These are the parts you have left to make the mazes, or come up with your own. 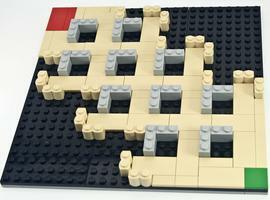 There are images for three additional mazes designed by Jason which have different difficulties and purposes. Jason has promised to release instructions for the tilting tray fix as well as extra instructions. 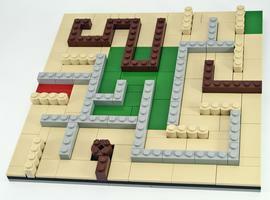 At the time of writing, there is already one maze available on his website. The LEGO Ideas 21305 Maze will be available from 1st April for US$69.99, no information on rest-of-the-world pricing yet. There's a minor design issue with the tray tilting that might not be important to others. You need to make small adjustments to play correctly, which is not something I'm capable of doing! 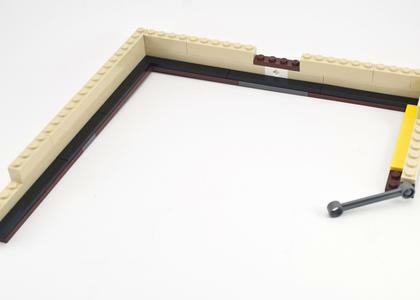 Disclaimer: This LEGO set was provided for review by The LEGO Group. Anything said in this post is the opinion of the author and not The LEGO Group. 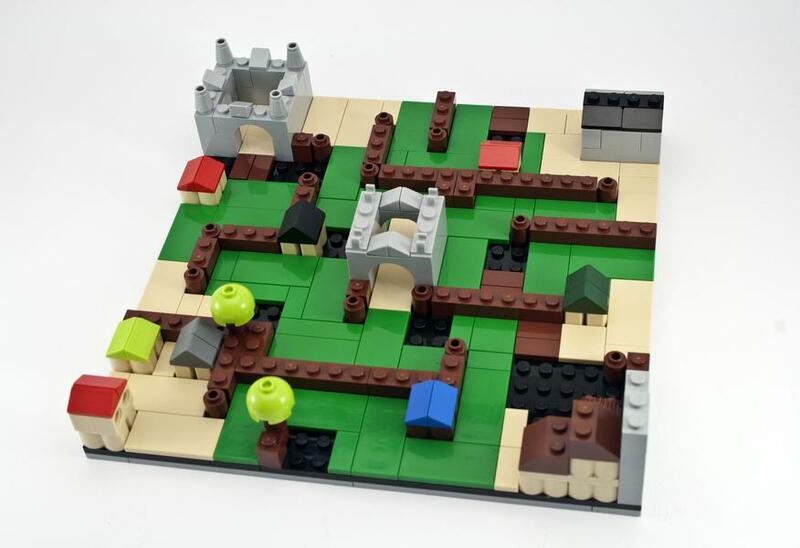 Q: Can you tell us a bit about yourself outside of LEGO? Sure, I'm 43 years old and live in Canada. I have an engineering degree, but my entire career has been as a computer software developer. I am an avid rock climber, and in the summer months I spend as much time as I can outside scaling rock faces. I also like a good book, and I'm big fan of science fiction. 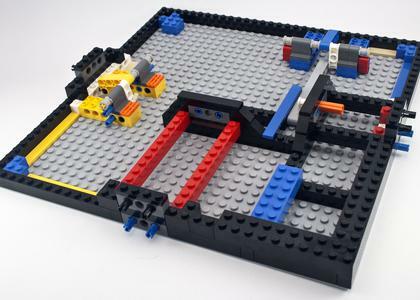 Q: When/how did you get started with LEGO? I've been building for most of my life, but there have been a few long periods where not much was going on. As a child I had some basic bricks, a couple of classic space sets and a few of the early Technic sets. 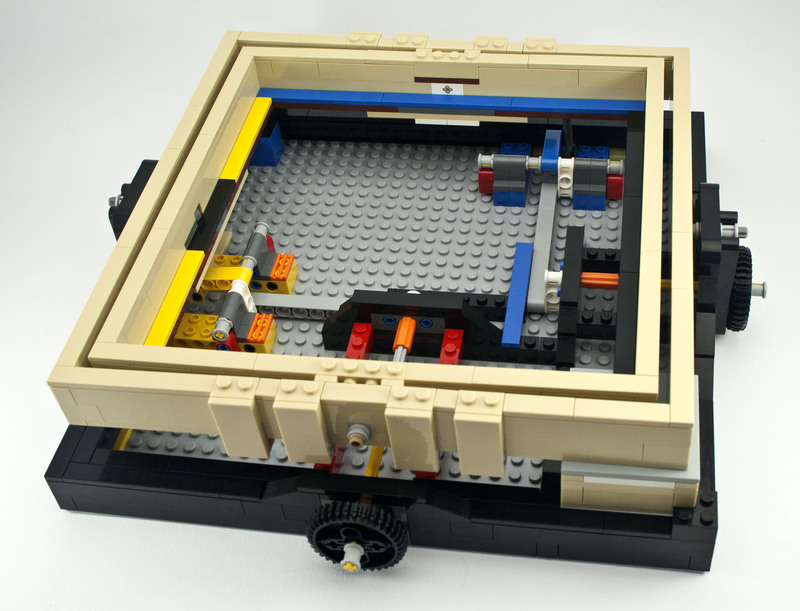 The Technic sets really fascinated me, which I guess isn't too surprising given what I mostly build these days. Throughout university and my early work career I didn't build too much - occasionally when I would visit home and the odd set I would buy to put on my desk at work. Once the Star Wars license was acquired all bets were off, and I was back in the game for good. 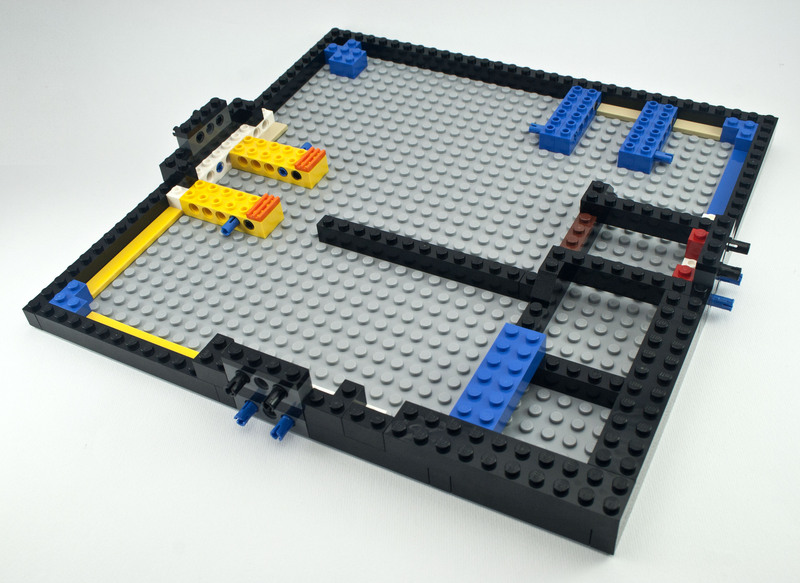 Q: How big is your LEGO collection? Do you have any special way of organising it? I don't know, I stopped trying to keep track a long time ago, but I'd guess I have over half a million pieces by now. It is mostly very well organized in various sized drawer units, sorted primarily by piece type. Q: You seem to have a knack for creating viral MOCs, what's the secret? Ha, yeah, I wish I knew. In general I think people enjoy things that move, so that's a great way to capture people's attention. I also try really hard, with varying degrees of success, to make my models look great and present them well. If it suits the model, I'll build up a narrative and make a fun little video to go with it. 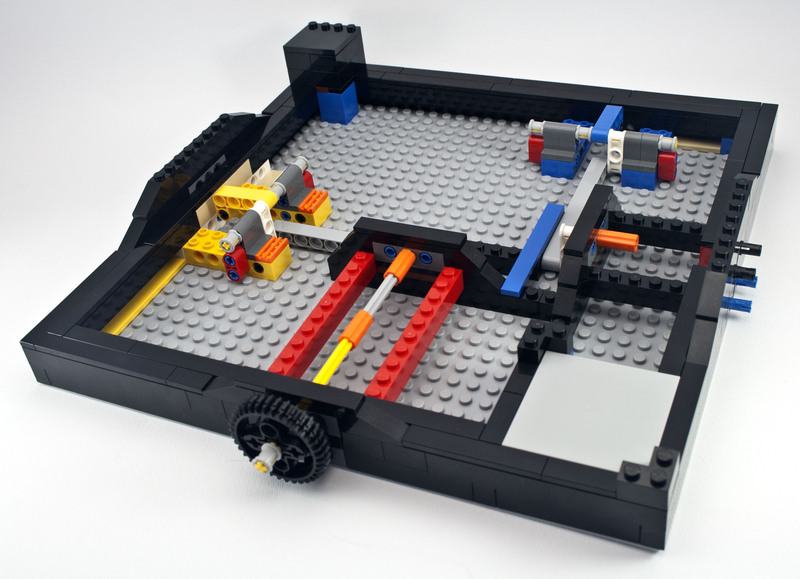 The particle accelerator was like that. I'm sure it wouldn't have been anywhere near as popular without the ridiculous video. 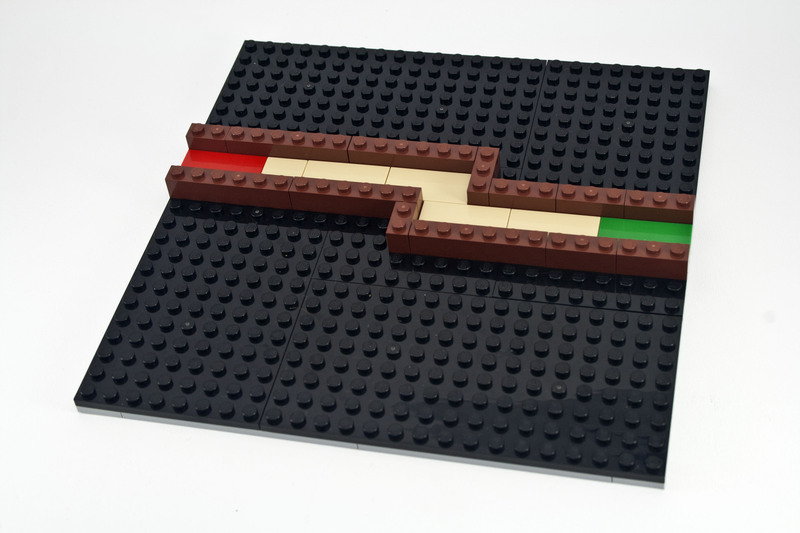 Q: Your MOCs all seem so different, where do you get your ideas/inspiration? From all over the place, really. Though I do seem to spend an excessive amount of time watching videos of crazy mechanical contraptions on YouTube. That rabbit hole is very deep, and the human race has been creating ridiculous machines for centuries. A lot of times it will just be some random thought that kind of comes out of nowhere. The clockwork heart, for example, just popped into my mind the night before Valentine's day. 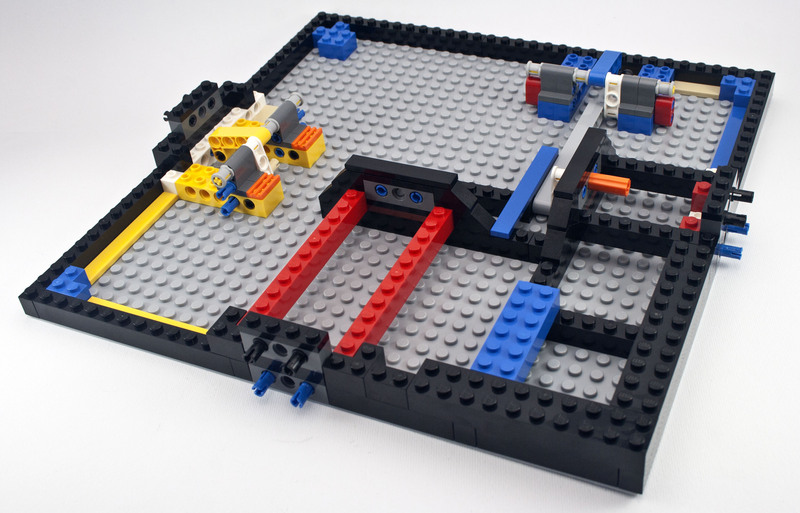 Q: Lately you have been creating awesome videos to go along with your MOCs. What made you start this? Do you have previous experience with that kind of work? I started just to make it easier to explain how my models worked. It's a lot easier to show what's going on in a video than to try and explain it with pictures and text. I definitely do not have any previous experience with making videos, which is clearly evident if you go back and look at my early videos. 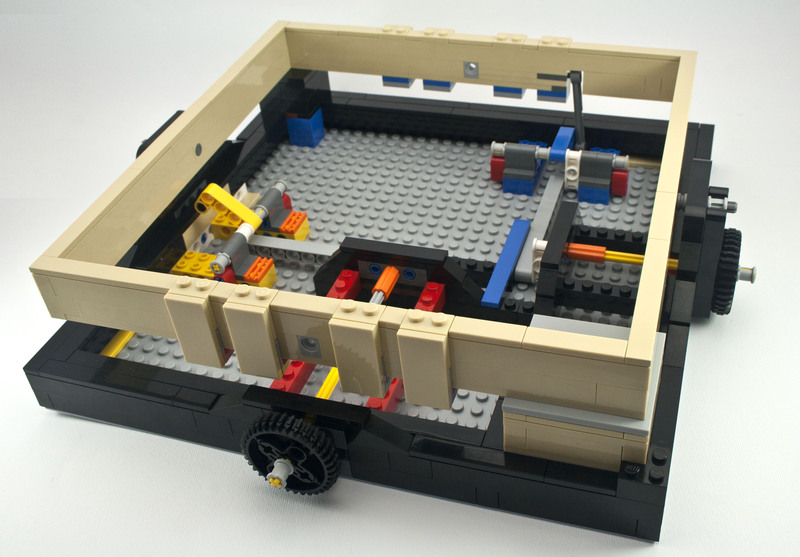 Q: Creating building instructions for MOCs is long and hard work, yet you nearly always do so. Can you describe how you do this, and what motivates you to create them? 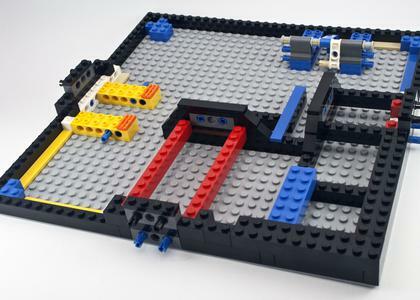 I design the model and sequence the building steps in MLCad. 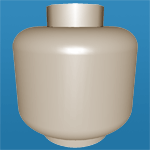 Sometimes I use LDCad or even LDD to help with this, depending on the nature of the model. This definitely takes up the bulk of the time. To actually render the instructions I wrote my own program, which does the same thing as LPub, to generate the PDF file and parts list. I originally started creating instructions because at my real job I was working on some desktop publishing software, and we were designing different workflows for aggregating and laying out content. 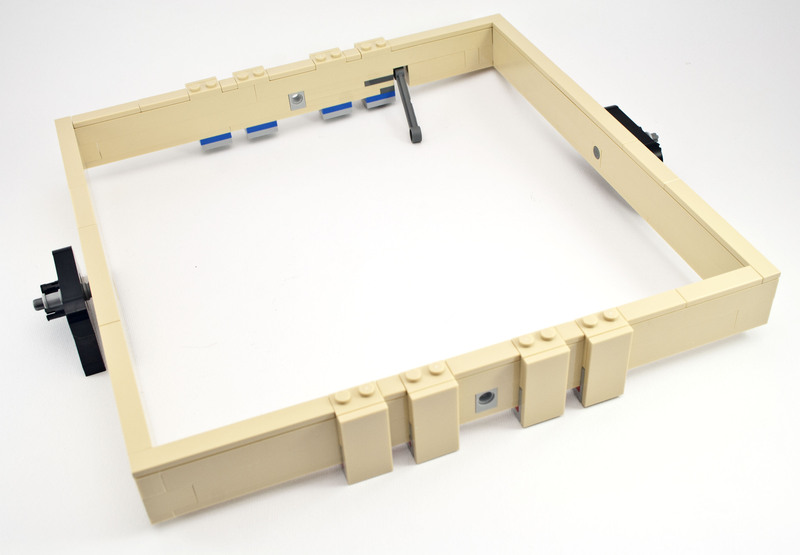 It was one of my little side projects to see how I could use our software to help generate LEGO instructions. Eventually I started hearing from people who where actually building my MOCs, which was really cool, and super flattering, so I kept doing it. 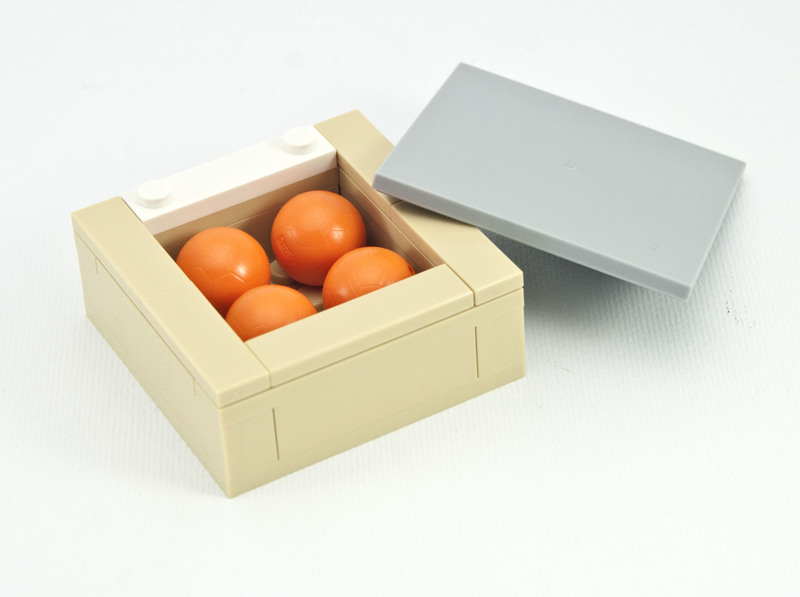 Q: What is your favourite MOC that you have created? Oh man, that's a tough one. I still have a soft spot in my heart for the Discovery, even though it doesn't hold up very well to modern building styles. There are a few models that would be on the short list, and my answer might change depending on my mood, but I'm going to go with the University of Waterloo Math and Computer Building. It's one of the few architecture models I've created, and it was a labor of love that spanned nearly 7 years from start to finish. 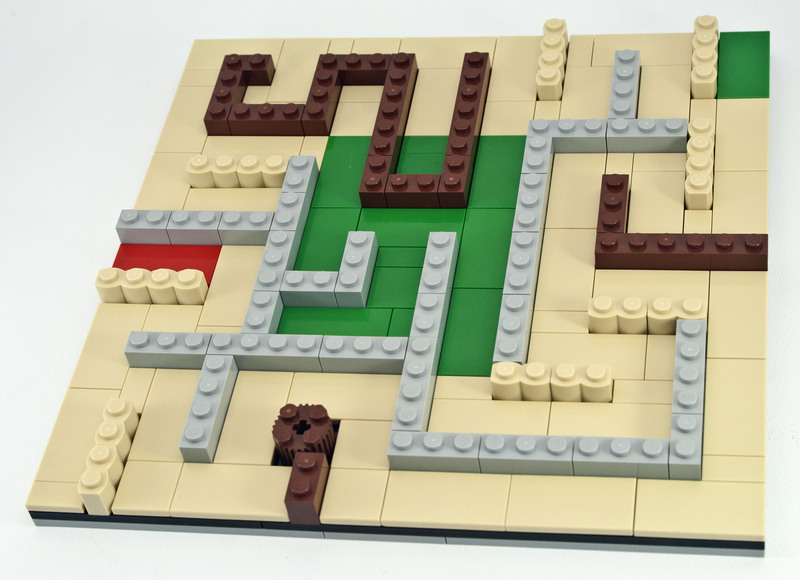 Q: Can you describe what the process was like working with TLG throughout this Maze release? It was pretty cool. It was like being on an awesome road trip where someone else gets to stress about all the details and you can just enjoy the ride. I also got to tour the North American LEGO headquarters and meet the Ideas team, which was really awesome. Q: You also have the Particle Accelerator project which has reached 10,000 supporters. Do you have any insight as to the likelihood of this project being produced too? I have no real insight in the likelihood of it being produced, but I would guess the chances are pretty slim. Certainly in its current form. The model, as I have presented it, is quite large, uses parts that are out of production, and requires Power Functions components. Maybe they will be inspired and create something awesome out of it. At the very least I think it re-enforces the interest for science based models that is out there. 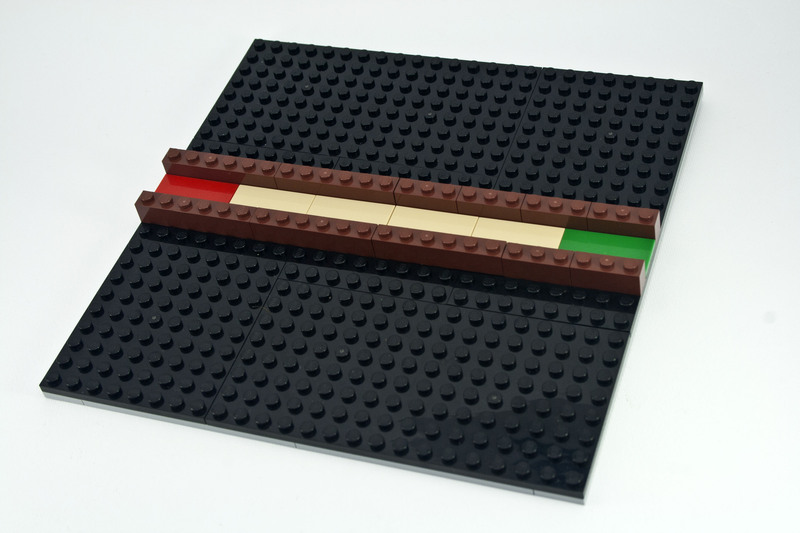 Q: Is there a reason you haven't added more of your MOCs to LEGO Ideas? Why the three that you did? There's no particular reason I haven't added more projects. It's actually been on my todo list, but I just never seem to get around to it. 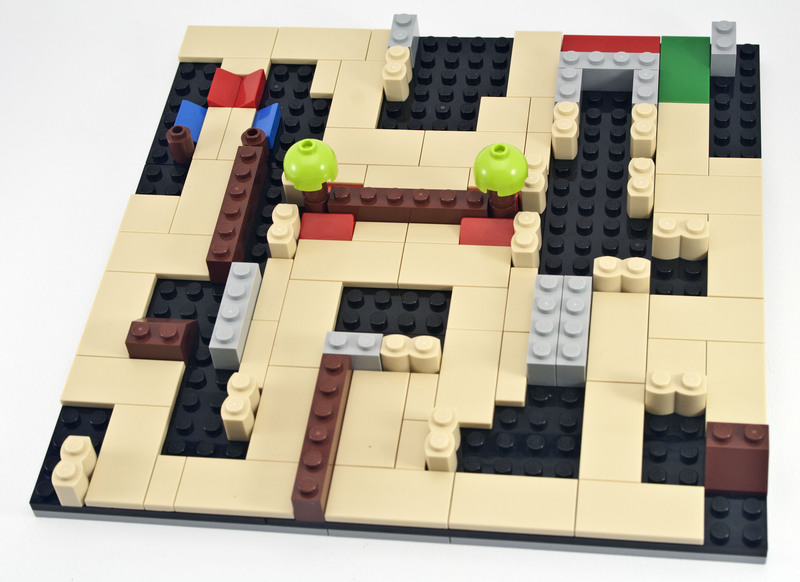 I added the maze and particle accelerator mostly because I received a lot of requests from people to submit them. I figured the Da Vinci flyer might make a decent desk top model. I'm working on a collaborative project right now that will eventually be put on Ideas, and I've received a lot of requests to submit the Orrery, so I am considering adding that as well. And can I buy it? awesome and definitely well deserved for one of the most creative afol ever! Thanks Nathan, especially for the interview with the designer, Jason! Looking forward to April to get this set. 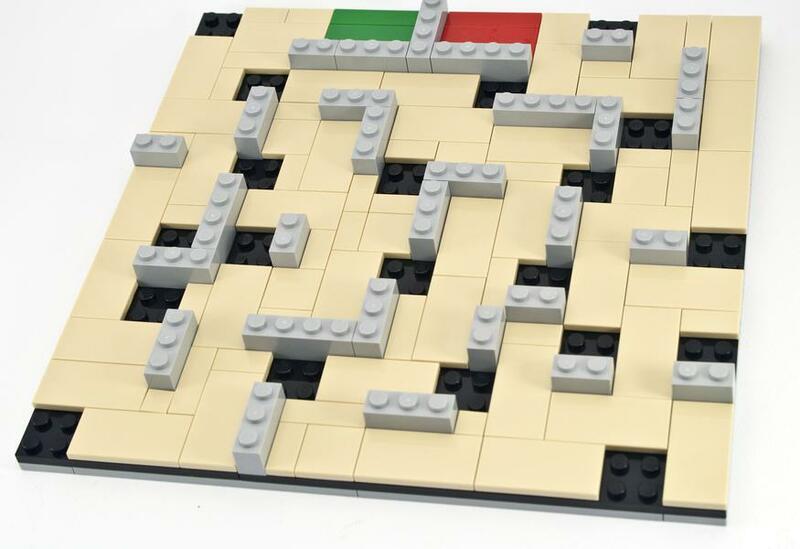 Looks like a multi-level maze, with holes, will be a future MOC. 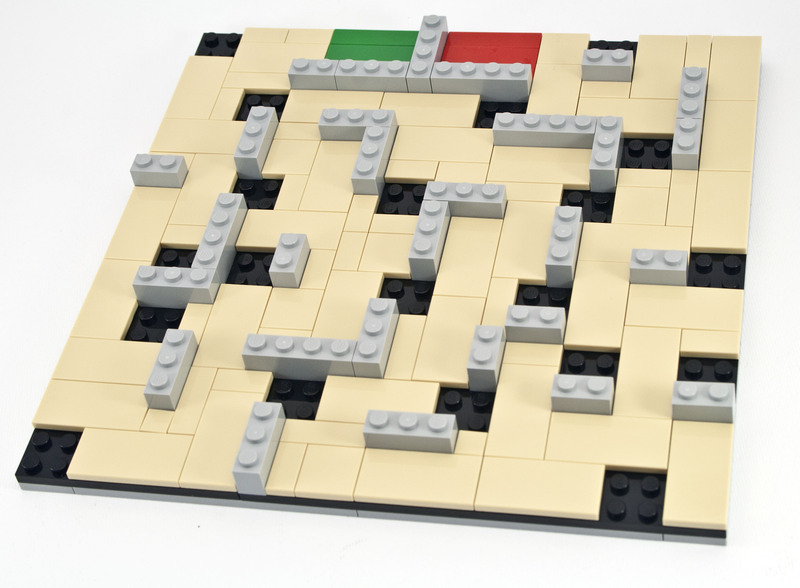 As no-one's used the obvious phrase:- that's a-maze-ing! 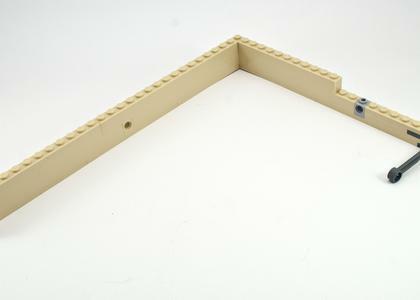 A really good set that needs an upgrade with real holes and a ball collector corner. Way to easy to cheat as it is now. Four balls so you can ramp up the difficulty by having two to four balls in the maze at the same time. 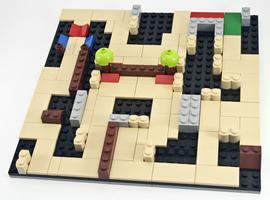 Or for the option to design a maze that requires the first ball to release other balls to solve the maze. 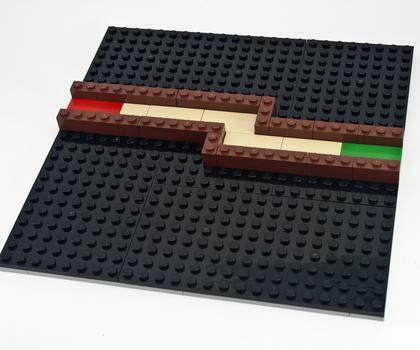 There's no reason to stay restricted to the initial maze plane either - with some additional bricks outside what's provided you could build some inclined ramps to go vertically and have a multi-level maze. Hopefully the limited tilt range won't be too much of a hinderance for that after Jason's fix is available. This has got my brain juices flowing! Quite a good parts set too! 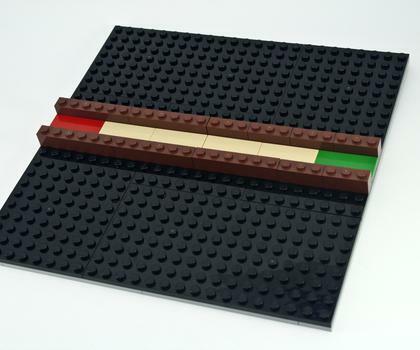 Big bricks and plates! Thanks again, Jason for all this awesomeness. And thanks Nathan for the review.